My name is Mark Wilson. I'm going to tell you a little bit about myself on this page.. I'm 51, but most people tell me I look 40. Better yet, I feel better than I did when I was 30! But that wasn't always the case! 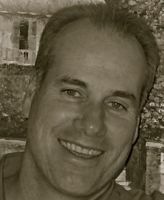 About 10 years ago, when I turned 40, I began to lose my zest for life. I started losing muscle mass, and.. I was entering male menopause. I was losing my mojo! Since I knew I still had a good 40 years left on this planet, I decided to do something about it. But, I had one rule going in..
Doctors prescribe drugs, they don't fix problems. Drugs cause side effects. Those side effects are usually just as bad or worse then the problem you're trying to fix. I'd been an independent health and nutrition researcher for 25 years before this quest began. I had a good grasp of how to dig up information, how to get to the root of a problem. I cured myself of GERD, even though I was told by a doctor that I'd be on medication for the rest of my life. I completely eliminated nasty food allergies, and seasonal hayfever that used to destroy me every spring, and.. I cured myself of pre diabetes, using supplements, diet, and exercise alone. BUT, this testosterone thing turned out to be a very tough nut to crack! I would get surges in T, but lose it just as fast as it came. I'd have a good day, followed by a bad. There was no consistency, I couldn't count on it. At one point, I thought I had it. I found something in an obscure book on men's health that really worked. It was a supplement, and it was getting the job done. Unfortunately, after about 2 months, I started to notice something. My testicles were shrinking. Yup, this supplement was shutting down my own T production. It was causing testicular atrophy. That was the beginning of my second rule that I still live by till this day. If the T boosting method shut down my own natural testosterone production, and caused testicular atrophy, it was out. Period! I do not want my testicles to shrink to the size of raisins. So I kept looking, trying out new things. A big break came to me when I stumbled across the natural bodybuilding movement. Now, I'm not a body builder, and probably never will be, but to this day, I pay attention to what these guys have to say. Because these men know what they're talking about. 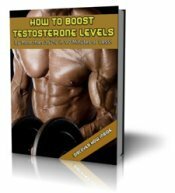 They have to, because without adequate levels of testosterone, you can't build muscle. Simple as that. Since the days of Charles Atlas, they've been perfecting the science of achieving optimal androgen levels without the use of drugs. I've also spent hundreds of hours in libraries, online reading medical studies, and scouring internet discussion groups. I spent a small fortune testing hundreds of different supplements, and I've networked with dozens of professionals in the natural health movement. It's been a long 10 years, with lot's of ups and downs, but now I feel like I've finally arrived. 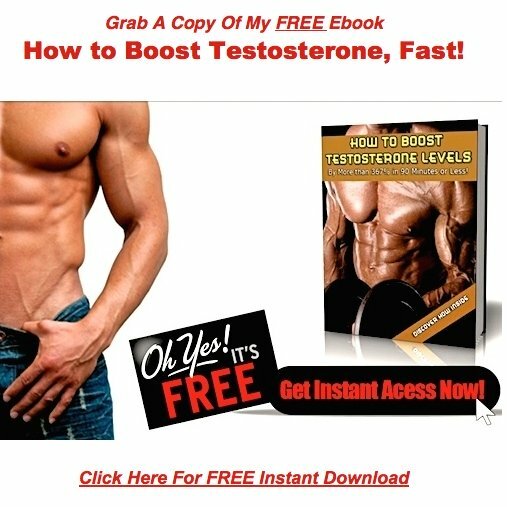 Testing shows that my free and total testosterone levels are both in the optimal range. I can almost feel the testosterone running through my veins, and I know for a fact that my life has changed for the better. A big clue is this website. I NEVER would have undertaken such a massive project in my low T days. I wouldn't have had the energy, the motivation, or the drive. Now I have energy to burn! My libido is up, I'm optimistic, happy, and full of life. Yup! I finally got my mojo back! These days, I work full time as a lifestyle and health coach. I do one on one coaching with men who are looking to increase their energy, libido, motivation, and quality of life. Fortunately, most of you will never have to pay for my one on one coaching services!